2017 has been a very busy year for us at XL Displays. We have taken part in many different fundraising activities, trying to give back to our community. We are proud and pleased to announce that during 2017 we have raised £4781 for various charities and donated over 1200 food items to the local Food Bank. Our fundraising efforts began on Friday 24 March when the staff at XL Displays donned their red noses and raised £220 for Comic Relief. Fundraising activities included dressing in red, a bake sale plus a comedy selfie competition. Every member of staff took a selfie which was then digitally ‘improved’ and entrants had to guess who was who. 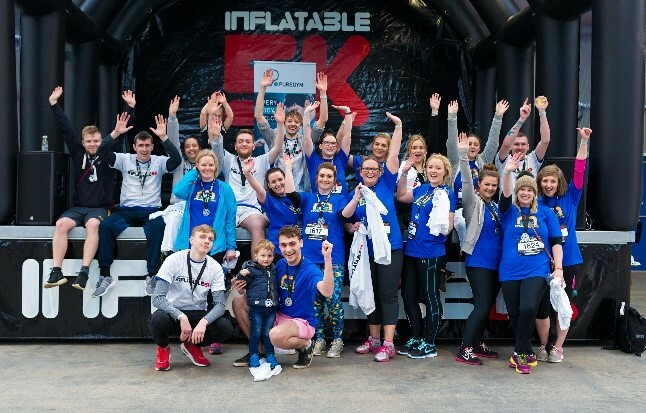 On Saturday 1st April our fundraising efforts continued and saw the XL team take part in the Inflatable 5k Run at the Showground in Peterborough. We managed to raise over £2100 for local charity Sue Ryder Thorpe Hall Hospice. The 5k running event involved a 5km course with 10 huge inflatable obstacles to negotiate. In June, the whole team donated a total of 400 food items to the Peterborough Foodbank. When visiting the food bank, our hearts we’re melted when we saw just how empty the shelves were at the foodbank. In June, we made a decision to organise quartly food collections which would help the foodbank in quieter times. In Sepetember, our second collection of the year saw us collect a total of 433 food items. We took this to a food bank center in Dogthorpe where our team we able to meet the people who use the foodbank. We got to hear first hand the many different circumstance which result in people needing to rely on the food bank service. On Friday 17th November, staff at XL Displays took part in a Where’s Wally themed fundraising day and raised over £220 for Children in Need. This year the fundraising activities included all members of staff dressing up as Where’s Wally and a Where’s Wally VR competition. The VR competition brought out people's competitive edge and even saw staff with zero experience in VR, having fun. The VR competition consisted of a pre-recorded 360° video with a total of 35 hidden Wally's and Pudsey bears. Each member of staff had to find as many as possible using the VR headset to take first place on the leader board. 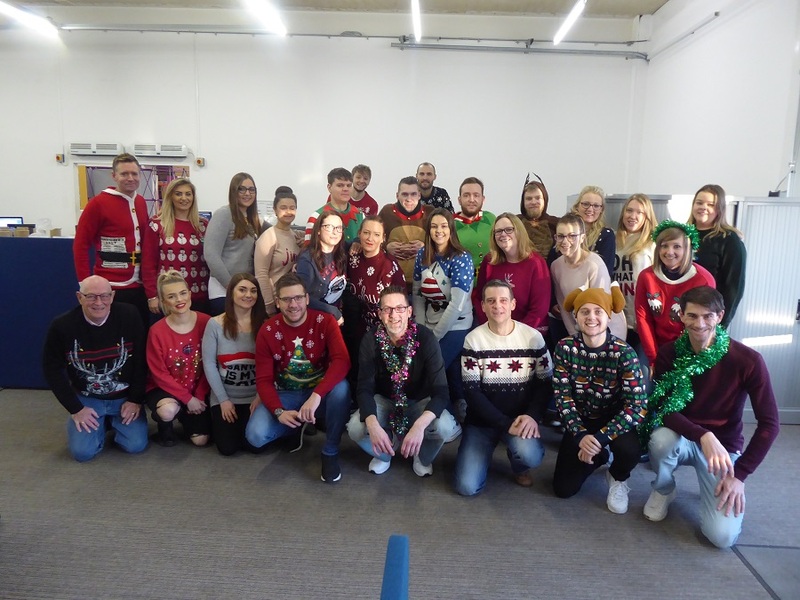 In December we took part in some festive fundraising and celebrated Save the Children’s Christmas Jumper Day, raising £118 with a bake sale and some festive knits. We ended our fundraising efforts by donating a total of 376 food items to the food bank on Monday 18th December, in time for Christmas. Our food donation weighed in at 190kg, which was enough to feed 19 people for a week! We would like to thank all of our staff for their support and participation and we look forward to more fundraising fun in 2018.